The 18-hole Eugene Country Club in Eugene, OR is a private golf course that opened in 1923. Designed by H. Chandler Egan, Eugene Country Club measures 6847 yards from the longest tees and has a slope rating of 136 and a 73.9 USGA rating. The course features 4 sets of tees for different skill levels. 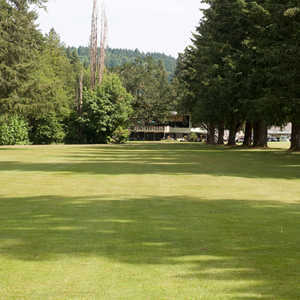 The 18-hole Fiddler's Green Golf Course in Eugene, OR is a public golf course that opened in 1964. Designed by John Zoller, Fiddler's Green Golf Course measures 2378 yards from the longest tees. 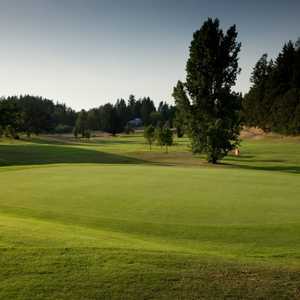 The 18-hole Oakway Golf Course in Eugene, OR is a public golf course that opened in 1929. Oakway Golf Course measures 3576 yards from the longest tees and has a slope rating of 91 and a 58.6 USGA rating. The course features 2 sets of tees for different skill levels. 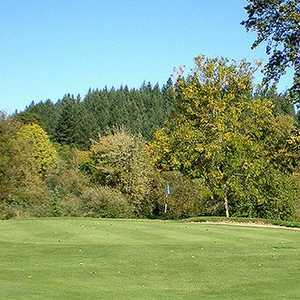 The 9-hole RiverRidge Course at RiverRidge Golf Complex in Eugene, Oregon is a public golf course that opened in 1988. Designed by Rick Jeffries, RiverRidge Course at RiverRidge Golf Complex measures 3455 yards from the longest tees and has a slope rating of 130 and a 36.